There are many forms of martial arts. While some are focused on strikes, kicks, punches or grappling, Aikido is unique. Aikido is centred around harmonising with your opponents’ movement and redirecting their energy through timing, balance and positioning. You don’t need to be the biggest, strongest or fastest to enjoy Aikido. Aikido is an absolutely non competitive art. Perfect for beginners, this Japanese art incorporates fluid movements and techniques to control or project an attacker. Through absorbing the attacker’s power and redirecting their energy, Aikido sees attack as a gift that can be confidently dealt with in a peaceful and calm way. Learned in our safe and supportive dojo, and held within long after you step off the mat, Aikido is the ideal martial art for women, men and children from all walks of life. More than learning to safely resolve conflict, Aikido classes help you to find a harmonious way, not just as a practise, but throughout all of life’s challenges. 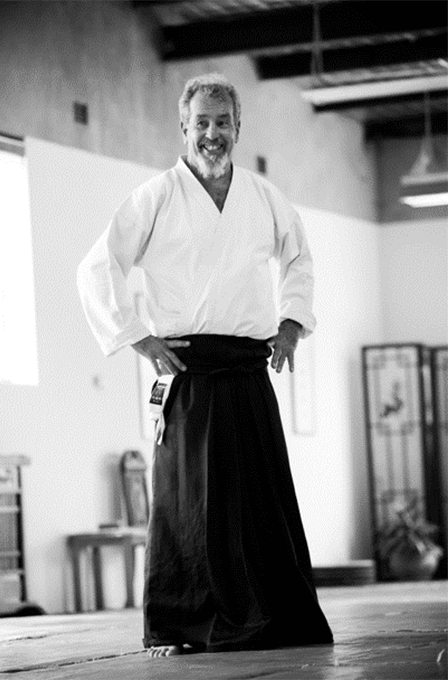 Sensei Ken Mclean is the founder of Shin Sen Dojo and has trained in martial arts for over 50 years. With over four decades focusing on Aikido, Ki Energy Cultivation and Aiki Healing Arts including Macrobiotics and Ki Shiatsu, he is a world renowned practitioner and teacher. 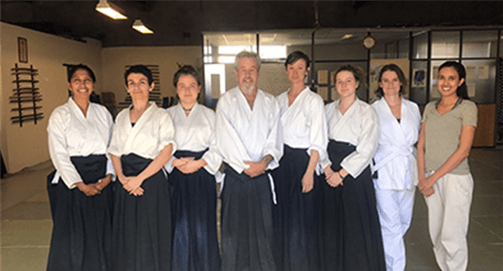 While his standing as a well respected and sought after Aikido Sensei in Sydney may reflect his passion, his journey to this point has been central in creating the Shin Sen Dojo. The son of a former Australian professional boxing champion, Ken began to form the basis of his future teachings while watching his father’s movement – to absorb an opponent’s’ strength and energy while riding the motion of one’s attack. Ken began training in Judo and Aiki Jujitsu at the age of 12, and not long after, yoga. Sensei Ken is driven to provide the best possible Aikido instruction for you or your child in a safe and welcoming dojo that caters to all. Aikido has many physical, physiological and spiritual benefits. The true versatility of this ancient art is what makes it ideal for students of all backgrounds. Whether you want to enjoy life armed with increased confidence and self-esteem, or your child wants to learn how to defuse conflict in the schoolyard, Aikido is the ideal foundation. The physical, spiritual and mental impact of regular training is great for your body. From flexibility to strength and overall fitness, Aikido is a fun and friendly workout as much as it is a life lesson. Aikido techniques are challenging. The focus and commitment required to master these skills develops advanced learning skills that may be applied throughout your daily life. Aikido teaches breathing techniques that may extend beyond the mat. You can expect to feel lighter and more at peace in moments of stress as a result of your practice. The process of training in Aikido from beginner to accomplished Aikidoka is a structured and guided one. This helps to focus your personal and professional goals off the mat too. A visit to an Aikido class will certainly help you find new friends, both on and off the mat. More than this you can expect to find an inner strength that walks with you long after the class is over. Though everyone who trains at the Shin Sen Dojo comes from a diverse background, we’re all connected by a sense of community and a passion for Aikido. With over 40 years as a teacher, Sensei Ken brings together old friends and new in a dojo that will quickly feel like home. Please see timetable for more info. Are you looking for a way to learn self defense, make new friends and develop skills that will stay with you throughout your life? Aikido for beginner classes focus on the basics of movement, stance, rolls and techniques. Perfect for all ages looking for an introduction to Aikido, each class is taught by world renowned Aikido practitioner and teacher, Sensei Ken Mclean, and provides a hands on and guided entrance into martial arts. Monday (7pm), Wednesday (7pm) and Saturday (10:30am). Aikido is a peaceful and dynamic martial art, based on blending with the energy (Ki) of an attack and returning harmony and balance. Aikido is designed to bring out your full potential for joyful, healthy and successful living. Aikido’s unique approach is based on protecting the attacker throughout the interaction. This requires you to be in touch with your true power based on mind/body unity. This power is called ‘Ki’. Ki is the energy behind all things. 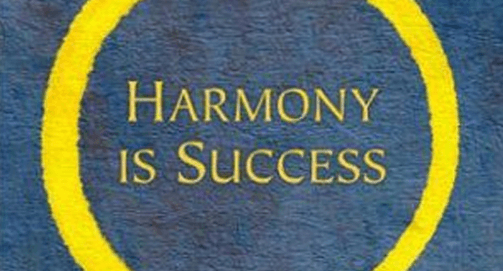 When your mind and body are unified and in harmony, there is an energy that permeates all your actions - an irresistible influence. Aikido is called the art of ‘non-resistance’ as the attackers desire to attack is dissolved. Like trying to attack the ocean, it is better to let go and flow with its currents. So beyond the martial art, Aikido becomes the way of flowing with nature's forces to turn your life into a state of flow. Aikido is welcoming and inclusive. Women may participate in all classes. Beginners and more advanced classes available. Aikido is an ideal training for women, bringing forth the spiritual warrior within. It allows the power of the feminine to fully express in an undeniable and effective way. Aikido is based on power with someone, not power over someone. Aikido uses softness to overcome the hard, space to overcome aggression, and suppleness to overcome strength. This is the power of non-resistance and Ki. Learn lasting self-defense in a safe and inclusive environment. All children’s classes are delivered by head and founder, Sensei Ken Mclean. Students will learn strong foundations of Aikido, with the principles for safe and enriching learning delivered through valuable self defense skills. More than learning effective Aikido principles to be used in everyday life, students will be given the opportunity to build positive characteristics in a safe, structured and supportive dojo. Looking for team building exercises with a non-violent focus and creating a source of health and vitality in the workplace? Effective Aikido principles may be used in everyday interactions to empower you through centred relationships. Addressing alignment, breathing, centre to centre interaction, and how to be effective under pressure, corporate Aikido is a great benefit to both individuals and businesses. Aikido develops your awareness of self and others, fostering respect, centred behaviour, etiquette and team work. 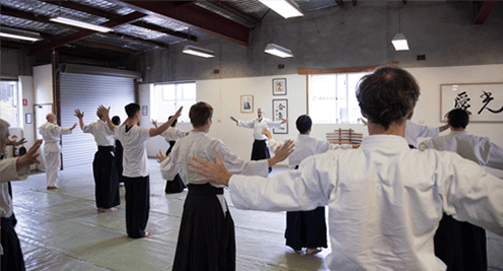 Based in Kensington and welcoming men, women and children from all over Sydney, the Shin Sen Dojo is a leading and innovative training centre teaching Aikido, Ki Cultivation, Macrobiotics and Shiatsu. Established in 1980, Shin Sen Dojo has been instilling confidence, strength and valuable self defence skills for nearly four decades. Under the teachings of world renowned Sensei Ken Mclean, you can learn and grow as you work towards unifying mind, body and spirit. Learn a martial art, get fit, or come to make new friends. There’s no single reason to practice Aikido but so many benefits to enjoy. I just want to do Aikido all day, everyday with Sensei. I really like being thrown by Sensei, it feels like flying through the air. I love knee walking and forward rolls. I love the snake and sumo games. Shin Sen Dojo has given me the opportunity to practice a non violent martial art. Every week I look forward to going to my class because I know I will be learning something new. In the dojo you can work with a great range of ages, years 6-17. Before class starts we play Aikido based games warming us up for our practice. When the class starts Sensei will demonstrate a technique, we have fun working with our partners on the technique. Sempais (instructors) are always looking to help us with learning the techniques. Aikido has helped me to become more active and much more focused. Turning up to the first session was daunting, but I fell head over heels straight away. 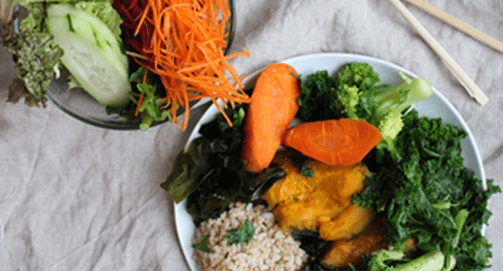 I started attending to try and improve my fitness, but the main thing I ended up gaining was a real sense of calm and an ability to look into myself, which means I can tackle stress at work and home so much more easily. I'm a bit of an anxious person, so having that little bit of peace of mind that I feel confident if something were to happen to me, just helps me feel that much better each week. It's a small thing, but it makes a huge difference to me. My fitness has improved dramatically, and I'm looking and feeling the best I've ever felt. After trying my first lesson with my girlfriend for free, I haven't stopped going. It's an important part of each week for me, and helps me get my stresses out and restore balance I didn't realise I was missing. ‘Ken McLean Sensei’s teaching and Shinsen Dojo have lead us to experience previously untouched dimensions of ourselves and our lives. We are both very grateful to Sensei, his family and the dojo for our life changing experiences, guidance and support. It doesn't matter if you don't know the first thing about martial arts, you will be guided every step of the way and treated with complete respect and honour. It's a privilege to attend Shin Sen Dojo. I have thoroughly enjoyed learning Shin-sen Aikido. With each class I feel greatly re-invigorated and more healthy than ever before. The unique Shin-sen methods energise me in a most uplifting way and have been a great experience for me. The teacher possesses a rare depth of knowledge that creates a insightful, rewarding and collegial environment for all students. Shin-sen Aikido is a fascinating opportunity worthy of serious attention. I would recommend it to everyone without hesitation. I have been practicing Aikido for nearly 2 years now and enjoy it immensely. It appealed to me in the beginning as a way of learning a non- aggressive martial art but has developed into much more than that. A t the age of 60 when I started it was somewhat difficult to get my stubborn body and brain parts to cooperate. However over time and with perseverance the body has become increasingly more flexible. At Shin Sen Dojo there are many advanced practitioners who help and teach under the guidance of the Sensei and I feel that I am beginning to scratch the surface while having a great deal of fun. I was anxious before starting, but once I started I completely fell in love. The fitness is a benefit, but the overall calmness I experience in my everyday life since starting at the Dojo is what really surprised me. The most enjoyable, challenging and fulfilling training I have done. A very holistic approach to training which you can apply to all areas of life. Yes. Our Aikido for beginners class is perfect for anyone looking to learn more about the fundamental skills behind safe Aikido practise. After completing the beginners class you will be able to join regular practice in both empty hand and weapon based techniques. Whether you are an adult or a child, or looking for fun, fitness, or self defense, Aikido has much to offer. Everyone you see training on the mat was once a beginner like you, so there’s nothing to be nervous about. You don’t have to be in perfect shape, an experienced athlete, and you won’t be trying to break bricks or wooden boards. As a modern, non-aggressive Japanese martial art, Aikido is more than the resolution of physical conflict. It is one aspect of spiritual growth and is the perfect place for a beginner to learn about their mind, body and spirit. What’s involved in training in Aikido? A typical class is between one hour, and one and a half hours long. Wear loose-fitting clothing to ensure a free and comfortable range of movement. It is not necessary to have a martial arts uniform (dogi) during your initial classes. If you decide Aikido is right for you and would like to pursue further classes, your Sensei will help you find the dogi that is best suited to you. Attaining a black belt in Aikido is an indication you are ready to begin more serious practice. With multiple black belt levels to be attained, the first level will indicate a true commitment to Aikido training. This may take anywhere from 3 to 5 years or longer. The level of diligence and the time spent practising will impact the final timeframe. Our junior classes welcome children between the ages of 7 to 13. To join an adult class you must be 13 years or older. No. Aikido is an inclusive and welcoming martial art designed to bring out one’s full potential for joyful, healthy and successful living. As such all ages are welcome. Please note: Due to the dynamic movement required, please check with your health care practitioner if you are uncertain about your physical ability to participate. Do you have fixed courses? Yes. Please check our current timetable for our list of fixed classes. However, for those with time constraints or seeking a more personal and concentrated training can book one on one sessions with Sensei Ken Mclean. Book your personal session here.